For example, if you want to preserve the order of mapping then you can consider using LinkedHashMap. If you want to keep mappings sorted then you can use TreeMap, which is a sorted map implementation.Similarly, if you need a hash table implementation which is thread-safe and can be used in a concurrent application without compromising the Scalability then consider using ConcurrentHashMap. Here is my list of HashMap questions from Java Interviews. This list includes questions based on the internal implementation of HashMap, the Map API, how you use HashMap and common best practices while using HashMap in a Java application. The put() method of HashMap works in the principle of hashing. It is responsible for storing an object into backend array. The hashcode() method is used in conjunction with a hash function to find the correct location for the object into the bucket. If a collision occurs then the entry object which contains both key and value is added to a linked list and that linked list is stored into the bucket location. The key or value object must implement equals() and hashcode() method. The hash code is used when you insert the key object into the map while equals are used when you try to retrieve a value from the map. If you store an existing key in the HashMap then it will override the old value with the new value and put() will return the old value. There will not be any exception or error. Yes, HashMap allows one null key which is stored at the first location of bucket array e.g. bucket = value. The HashMap doesn't call hashCode() on null key because it will throw NullPointerException, hence when a user call get() method with null then the value of the first index is returned. Yes, HashMap also allows null value, you can store as many null values as you want as shown in the hashmap example post in this blog. The java.util.HashMap uses chaining to handle collisions, which means new entries, an object which contains both key and values, are stored in a linked list along with existing value and then that linked list is stored in the bucket location. In the worst case, where all key has the same hashcode, your hash table will be turned into a linked list and searching a value will take O(n) time as opposed to O(1) time. The HashMap is an implementation of hash table data structure which is idle for mapping one value to other e.g. id to name as you can search for value in O(1) time if you have the key. Even though HashMap represents a hash table, it is internally implemented by using an array and linked list data structure in JDK. The array is used as bucket while a linked list is used to store all mappings which land in the same bucket. From Java 8 onwards, the linked list is dynamically replaced by binary search tree, once a number of elements in the linked list cross a certain threshold to improve performance. No, you cannot insert duplicate keys in HashMap, it doesn't allow duplicate keys. If you try to insert an existing key with new or same value then it will override the old value but size of HashMap will not change i.e. it will remain same. This is one of the reason when you get all keys from the HashMap by calling keySet() it returns a Set, not a Collection because Set doesn't allow duplicates. Yes, you can put duplicate values in HashMap of Java. It allows duplicate values, that's why when you retrieve all values from the Hashmap by calling values() method it returns a Collection and not Set. Worth noting is that it doesn't return List because HashMap doesn't provide any ordering guarantee for key or value. 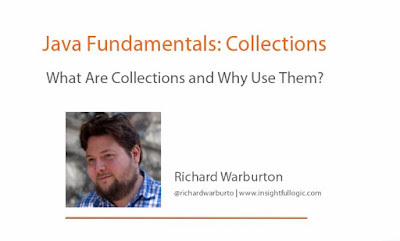 If you want to explore, you can also see Java Fundamentals: Collections course from Pluralsight to learn more about fundamental properties of different collections in Java e.g. List, Set, and Map. No, HashMap is not thread-safe in Java. You should not share an HashMap with multiple threads if one or more thread is modifying the HashMap e.g. inserting or removing a map. Though, you can easily share a read-only HashMap. If you use HashMap in a multithreaded environment in such a way that multiple threads structurally modify the map e.g. add, remove or modify mapping then the internal data structure of HashMap may get corrupt i.e. some links may go missing, some may point to incorrect entries and the map itself may become completely useless. Hence, it is advised not to use HashMap in the concurrent application, instead, you should use a thread-safe map e.g. ConcurrentHashMap or Hashtable. You can see this article for example of each of these way to traverse an HashMap in Java. itr.remove(); // this will remove the current entry. You can see that we have used Iterator.remove() method to remove the current entry while traversing the map. Random order because HashMap doesn't provide any ordering guarantee for keys, values, or entries. When you iterate over an HashMap, you may get the different order every time you iterate over it. No, you cannot sort a HashMap because unlike List it is not an ordered collection. Albeit, you can sort contents of HashMap by keys, values or by entries by sorting and then storing the result into an ordered map e.g. LinkedHashMap or a sorted map e.g. TreeMap. A load factor is a number which controls the resizing of HashMap when a number of elements in the HashMap cross the load factor e.g. if the load factor is 0.75 and when becoming more than 75% full then resizing trigger which involves array copy. The resizing happens when map becomes full or when the size of map crosses the load factor. For example, if the load factor is 0.75 and when become more than 75% full then resizing trigger which involves array copy. First, the size of the bucket is doubled and then old entries are copied into a new bucket. There is no maximum limit for HashMap, you can store as many entries as you want because when you run out of the bucket, entries will be added to a linked list which can support an infinite number of entries, of course until you exhaust all the memory you have. Btw, the size() method of HashMap return an int, which has a limit, once a number of entries cross the limit, size() will overflow and if your program relies on that then it will break. This issue has been addressed in JDK 8 by introducing a new method called mappingCount() which returns a long value. So, you should use mappingCount() for large maps. 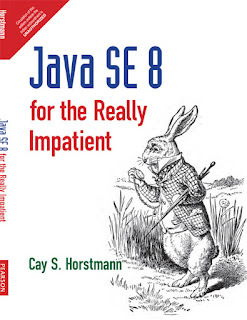 See Java SE 8 for Really Impatient to learn more about new methods introduced in existing interfaces in JDK 8. The capacity denotes how many entries HashMap can store and size denotes how many mappings or key/value pair is currently present. If two keys of HashMap return same hash code then they will end up in the same bucket, hence collision will occur. They will be stored in a linked list together. That's all about some of the important Java HashMap interview questions. I have tried to answer them as well, but if you disagree with any answer then feel free to comment. Since HashMap is a very important class in Java and equally important from Java interview point of view, it pays to understand this class and its implementation in deep. These questions will not only help you to understand HashMap better but also encourage you to find out more about HashMap, its Java implementation and hash table data structure in general. If you have any other HashMap based Java questions, which was asked to you in an interview, feel free to share with us. Perfect explanation . The best line is "This is one of the reason when you get all keys from the HashMap by calling keySet() it returns a Set, not a Collection because Set doesn't allow duplicates." Thank you Sachindra, glad that you like my explanation. Hah, I missed mappingCount() method :) Many thanks for article, worth of reading carefuly! mappingCount() method is there in HashMap()? actually answers are outdates. nothing about tree inside of bucket also, linked list would not work propertly after int_max elements and so on.